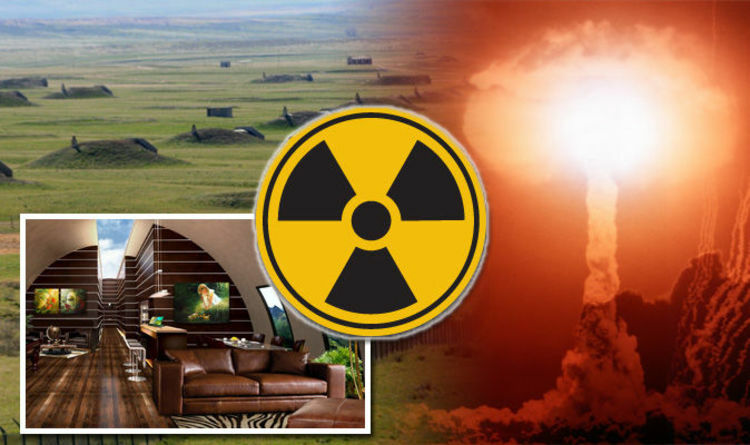 Apocalypse fearers should head to South Dakota with £20,000 in their pocket, and purchase a Doomsday bunker. Pictures have revealed the underground homes designed by survival company Vivos that stretch across 18 square miles in one of the ‘safest areas of North America’. Over 100 miles from known military nuclear targets as well as away from large bodies of water, the location hopes to help survivors have the best chance. They were originally built as military bunkers which used between 1941 and 1967. It can even withstand a nuclear blast within a 10-mile radius, as well as protect from radio fallout or a chemical attack. Within them are enough survival gear and food to live up to a year, with 10-20 people in each bunker. Whilst enforced with steel doors and deep underground, it also offers military-trained security 24/7. Natural resources such as water is pumped underground into the bunkers, whilst natural LED lights simulate the outdoors in place of the windows. When the world isn’t under attack, people can safely go outside to make use of a hot tub spa, grocery store as well as a shooting range. People who want one for themselves will also need to pay $1,000 a year for a 99-year lease. With just 575 bunkers currently available, people who fear the apocalypse is imminent should act quickly. The Vivos website explains the design: “The central theme to all catastrophic and epic life-threatening events has typically always been to find shelter underground. "The soil of the Earth itself can provide the best shelter for most catastrophes, deep below the surface. "Whatever the threat, our shelters are built and engineered to withstand or mitigate just about everything from a pole shift, to super volcano eruptions, solar flares, earthquakes, tsunamis, pandemics, asteroid strikes, the anticipated effects of Planet X /Nibiru, and manmade threats including nuclear explosions, a reactor meltdown, biological or chemical disasters, terrorism and even widespread anarchy." When is the next Doomsday predicted?